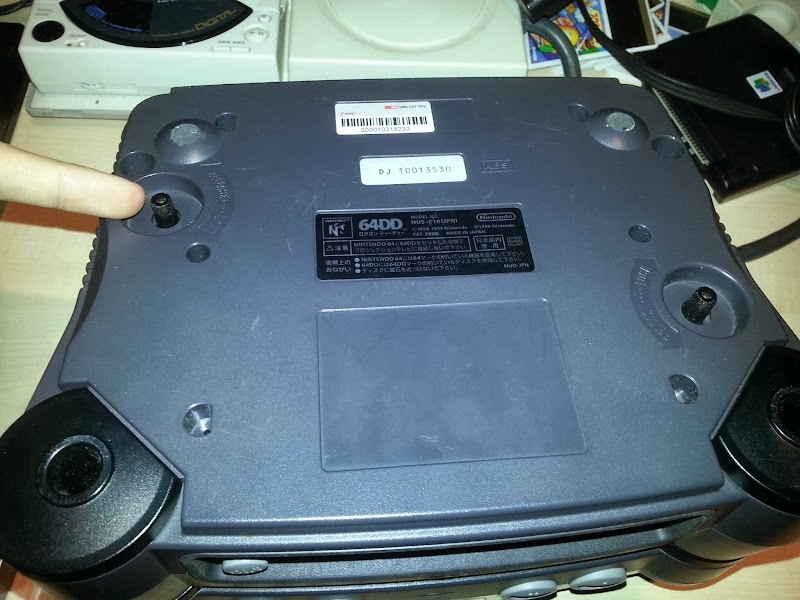 Your newly obtained and expensive 64DD unit. Don't bath it in water, store or use it in extreme cold or heat. And show it some love as in use it and play some games on it! Else you will be asking yourself how you could possibly forget this. I recommend to not loosing the cover though. You may miss it. 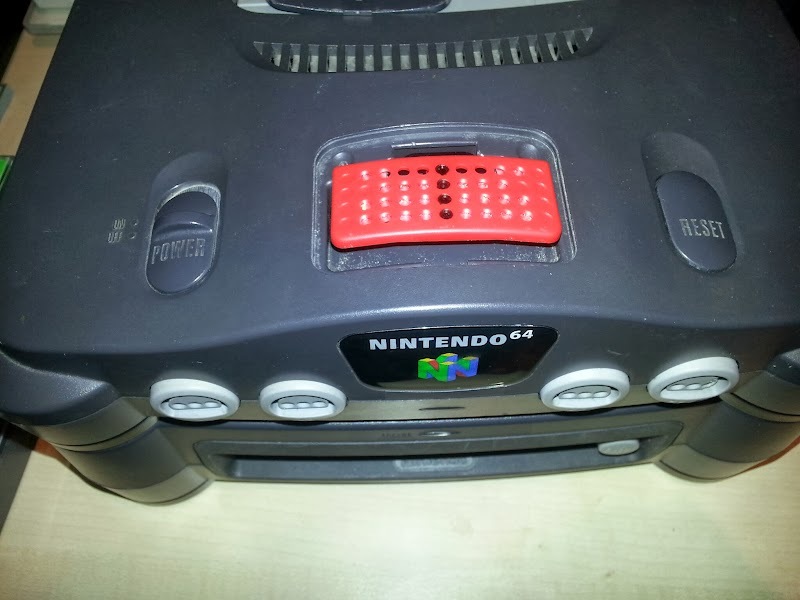 The Nintendo 64 Control Deck should just fit on top of the 64DD Unit. 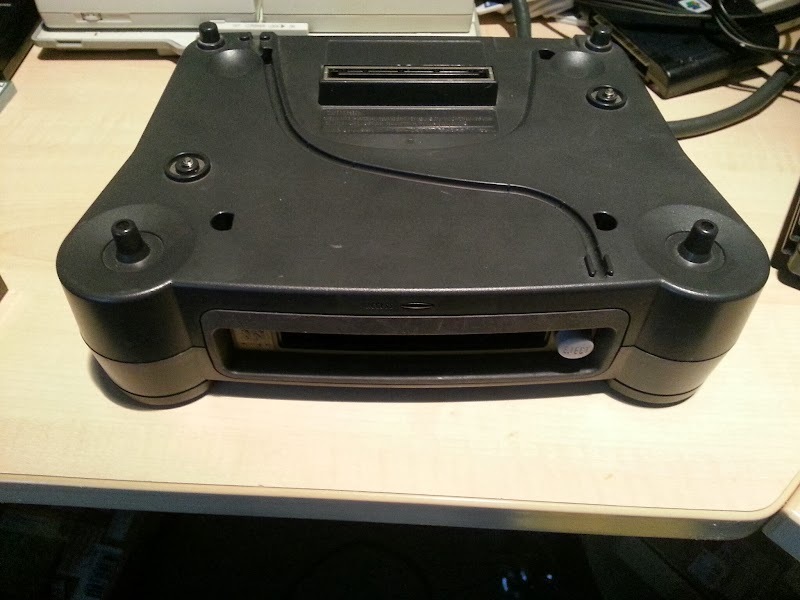 Now turn your assembly upside down and fasten the two screws to secure the 64DD unit to the Nintendo 64 System. If not already done so, make sure you have an expansion pack installed. 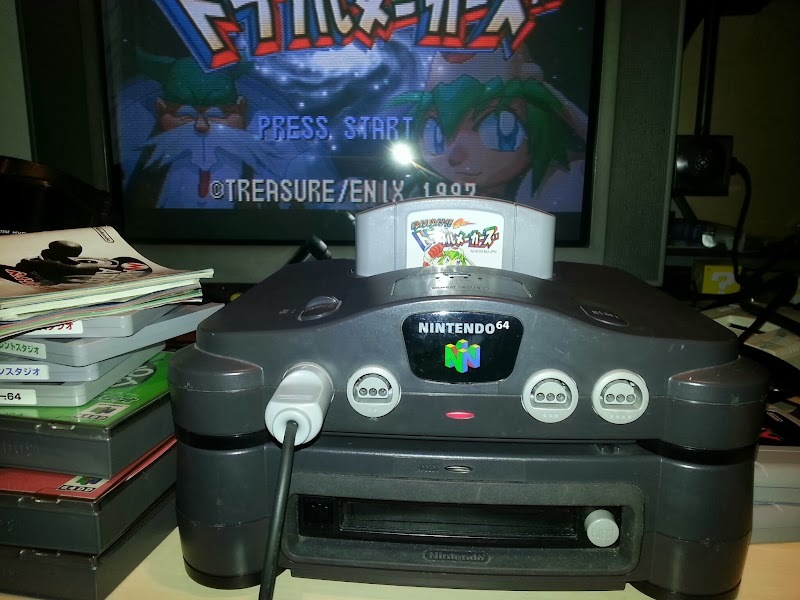 The 64DD and its software won't function without it. 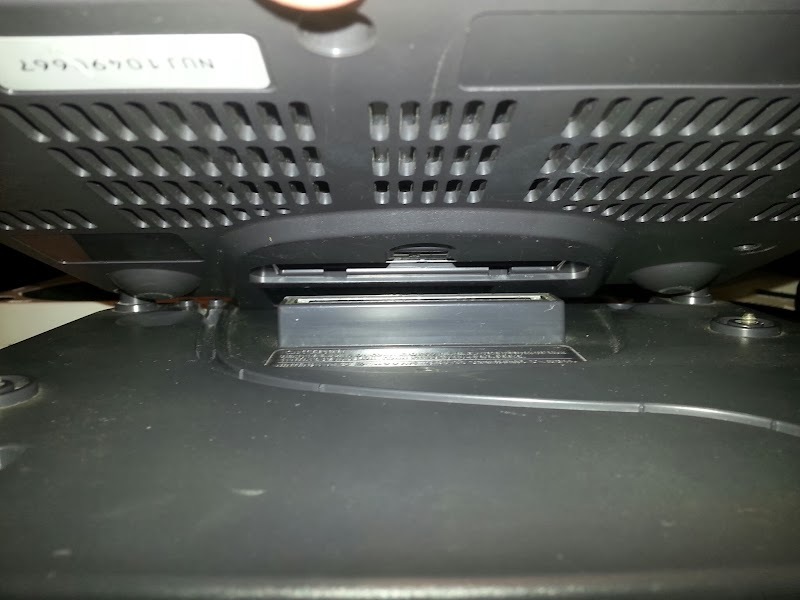 No connect the power supply, video cables and the cartridge you may want to use with your software. 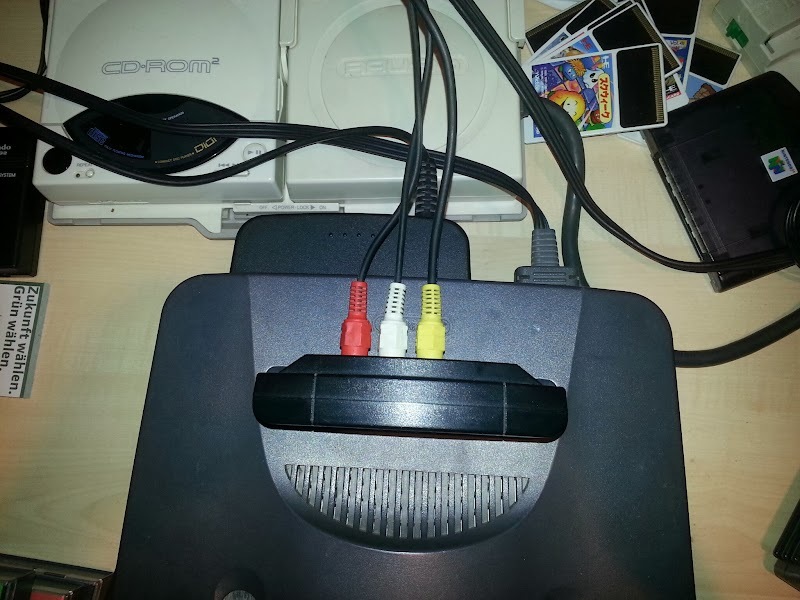 If you plan to use the Capture Cartridge (supplied with your copy of Mario Artist Talent Studio, the green one), it's advisable to connect the video cables before you turn on your system. If not already done so, connect your controller and mouse. 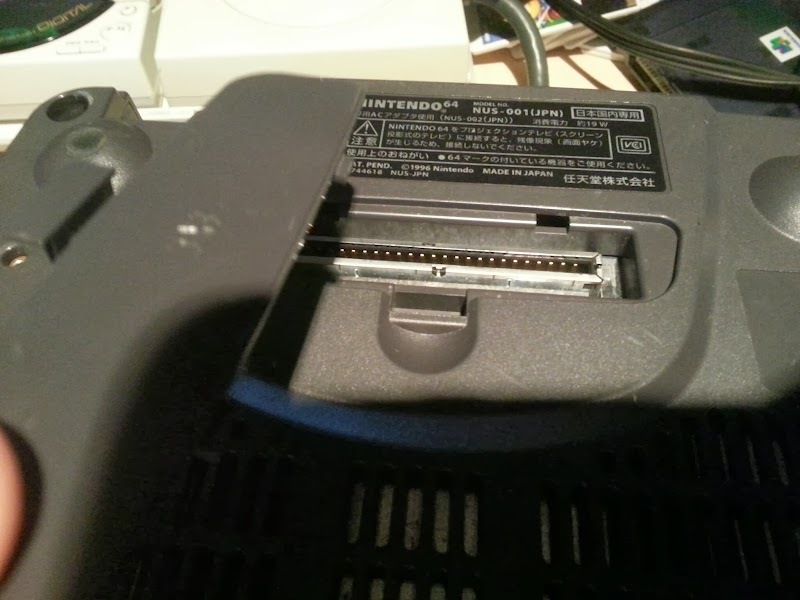 According to the Mario Artist series instruction manual, the mouse should connect to Controller Port 2. 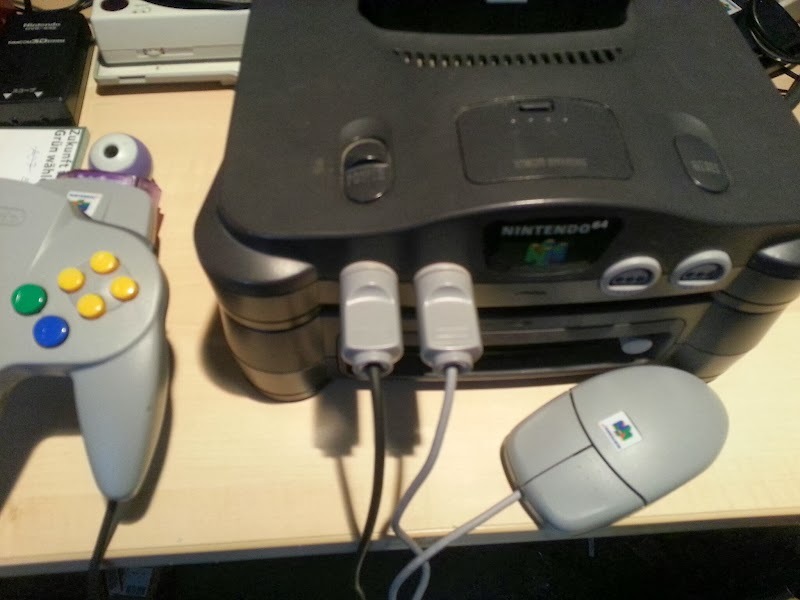 The mouse also works in controller port 1, without any additional controllers connected. 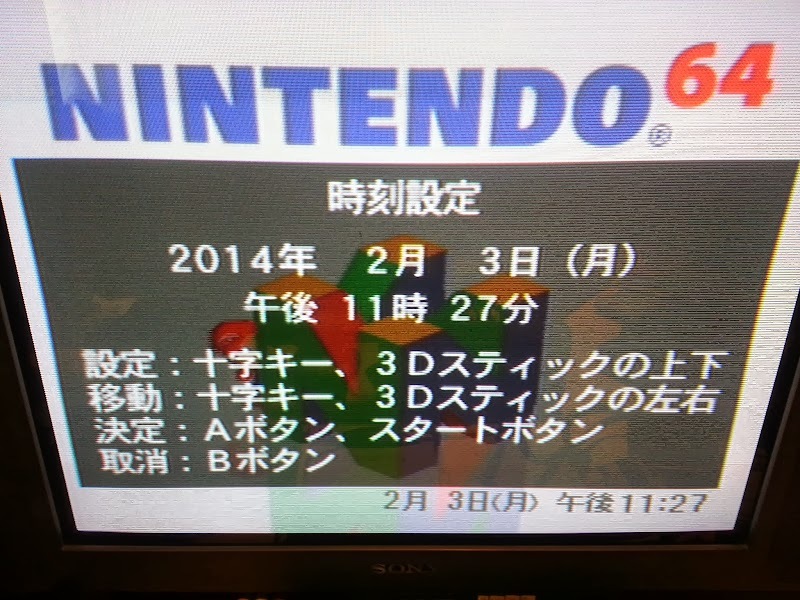 After turning the Nintendo 64 on, without a Cartridge and without a Disk in it, you can access the 64DD's settings menu by pressing A. Now you can set Date and Time (Year, Month, Day, Hour Minute) with the controller. Confirm with A, cancel with B.